For fishing all you really have to have is a hook and a line, but a weight and float will make fishing easier. 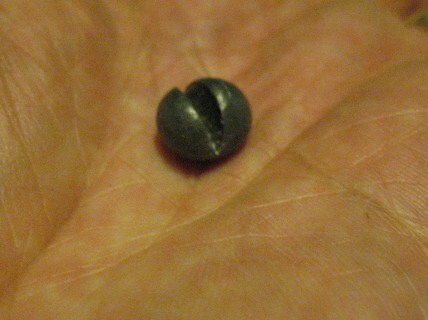 For primitive weights I use lead rifle balls or buckshot and partially split them with my knife. These weights are almost identical to split-shot weights that you buy at a sporting goods store. Of course you can use anything for a weight as long as you can attach it to your line and as long as it is heavier than water. Remember, the main purpose of a weight is to hold your bait down in the water. If it will pull your hook down, that’s all you need. 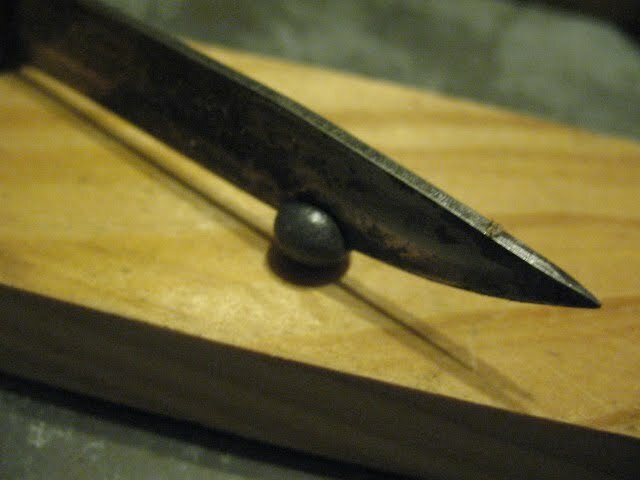 Pictured below: Splitting a lead rifle ball with a knife and the finished split ball. A float or strike indicator is not at all necessary for fishing. I’ve caught many a trout with a fly rod and no strike indicator, but an indicator does make it easier to know when you’re getting a bite, and if you are fishing multiple lines you almost have to have an indicator. Remember a float is not just to see if you are getting a bite. It also serves to keep your bait suspended at a certain level in the water. 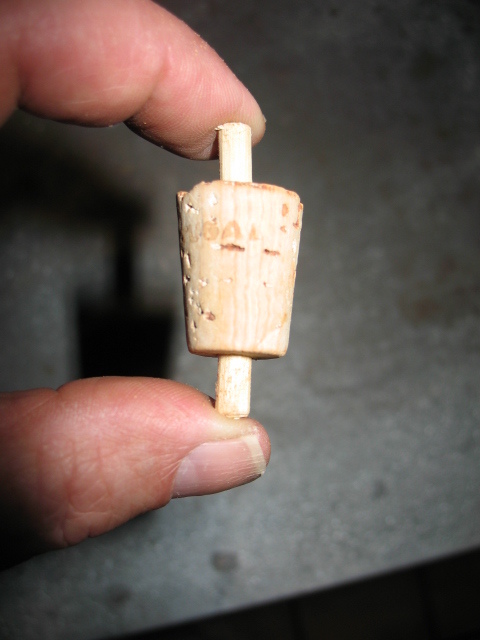 If you are making floats at home you can use old wine corks to make some good ones. Use a sharp knife to cut the corks about an inch to an inch-and a-half long, then drill about a quarter inch hole through the corks. This the hardest part because the corks will want to split if you go too fast. 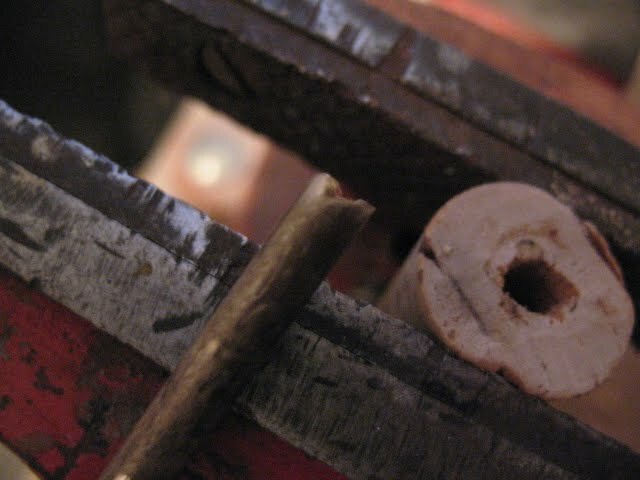 I actually made a little tool to drill corks with. I took a piece of quarter inch metal tubing about 3 inches long and filed little teeth into one end. I chuck this up in my drill and drill very slowly through the cork. 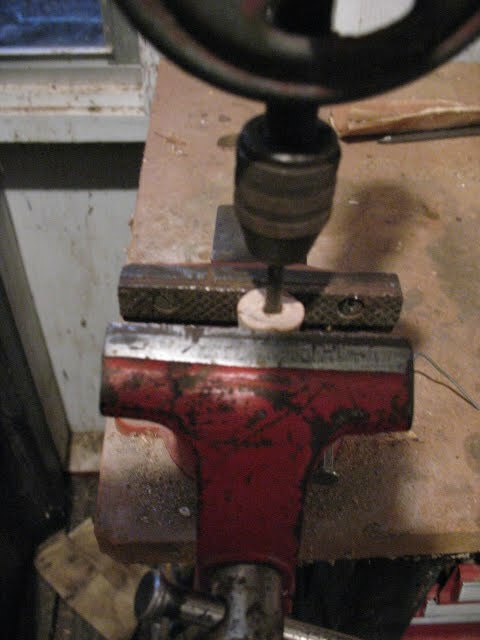 Pictured below: Drilling a cork with my home-made bit and cork with finished hole. 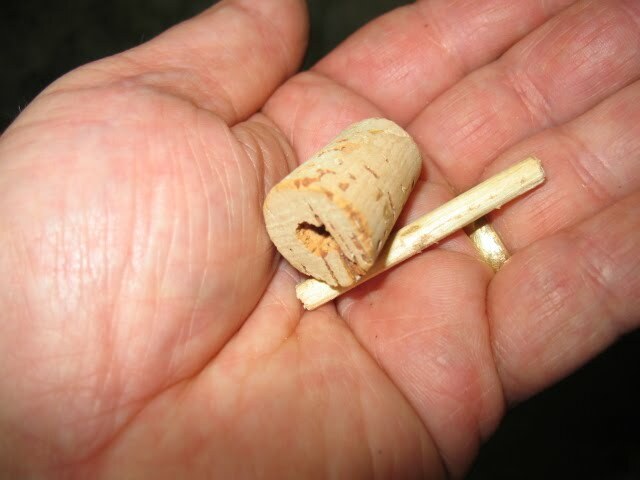 Once you have your cork drilled you can cut a small stick that will fit tightly in the hole. Don’t make the stick too oversize or you may split the cork when you push the stick in. 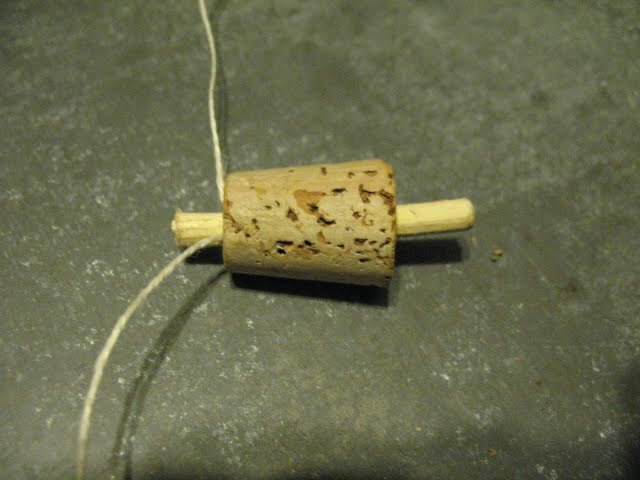 Pictured below: Cork and stick, finished assembled float, and float attached to linen fishing line. I saw an article recently that showed how to make floats out of dried corn cobs. Basically the same procedure as above but you use a section of dried corn cob instead of a cork. I haven’t tried this one yet, but it sounds reasonable. I plan to save a few cobs out of my garden this year and give it a try.